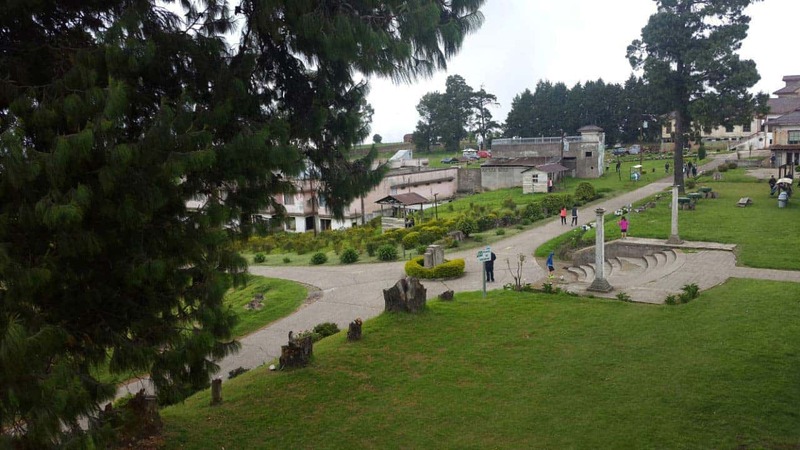 An ideal day trip from San Jose, visiting the Irazu National Park and Sanatorio Duran. 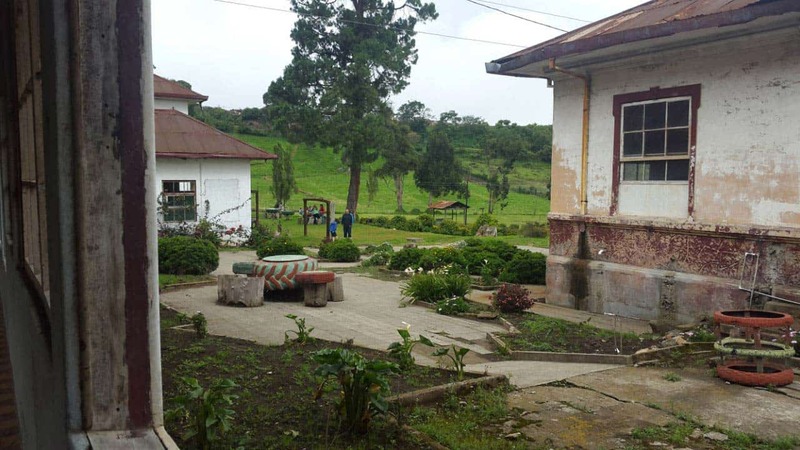 Visit the Irazu crater in the morning, enjoy the views, take your photos and then head down to the former hospital and explore. If you have made this trip before, leave your comments and tips in the section below to help others. Take your time on your way back and enjoy the scenic viewpoints. While this day trip is certainly kid friendly you’ll want to keep a close eye on your children. 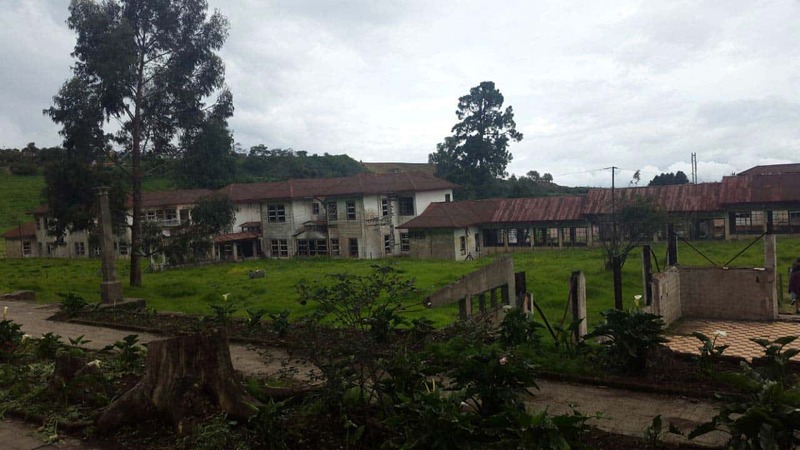 Wooden railings are all that separate the walkway from the crater and in the Sanatorio Duran mischievous ones could certainly find areas that wouldn’t be considered unsafe. 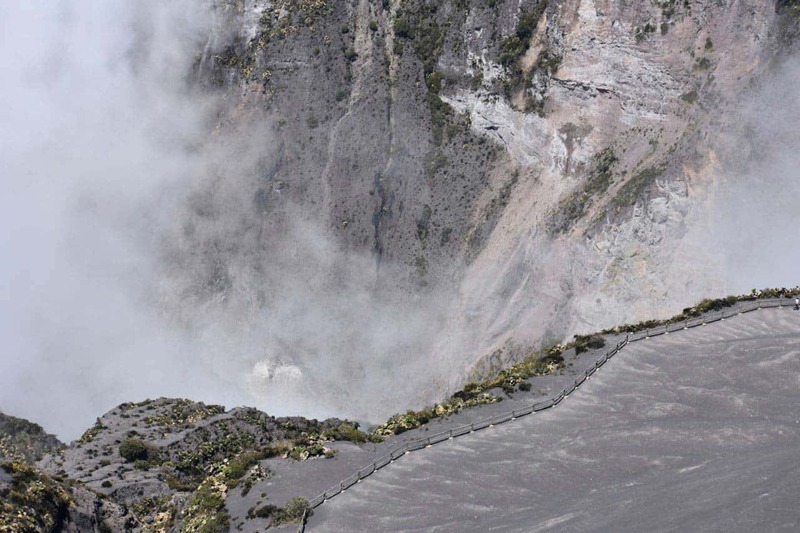 The Irazu Volcano is located 74 km from San Jose, and depending on traffic takes an average of about 1:30 minutes to arrive. 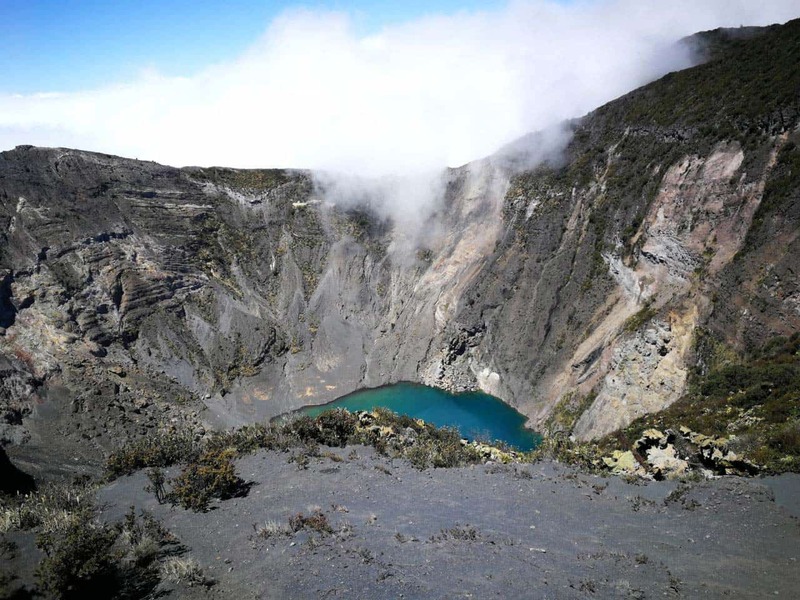 The volcano is the highest active volcano in Costa Rica and the climate is noticeably cooler than the central valley below. The drive up to the area was equally enjoyable to the destination. 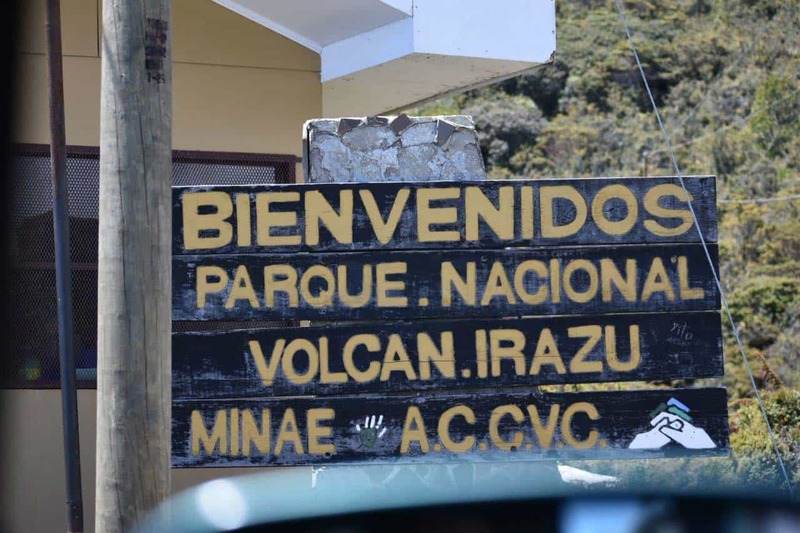 Regardless of which road you take to reach the national park you will undoubtedly find a variety of “miradors” or scenic viewpoints that overlook the valley below. Upon arriving at the main gate you may find a line of cars waiting for entry. As parking is limited at the crater park officials allow more cars to enter as others come down. 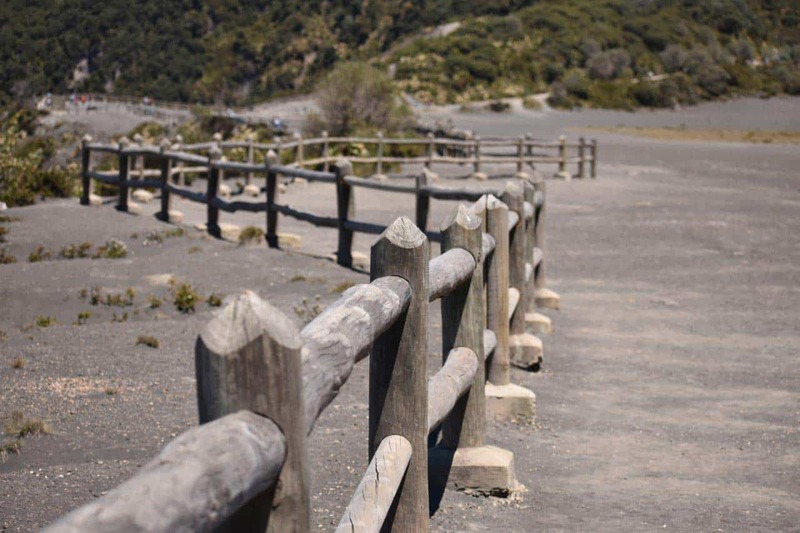 Paved walkways take you out to the main viewing deck and an alternative less developed viewing area is also accessible via car or a quick hike just another 500 meters passed the pave entrance. 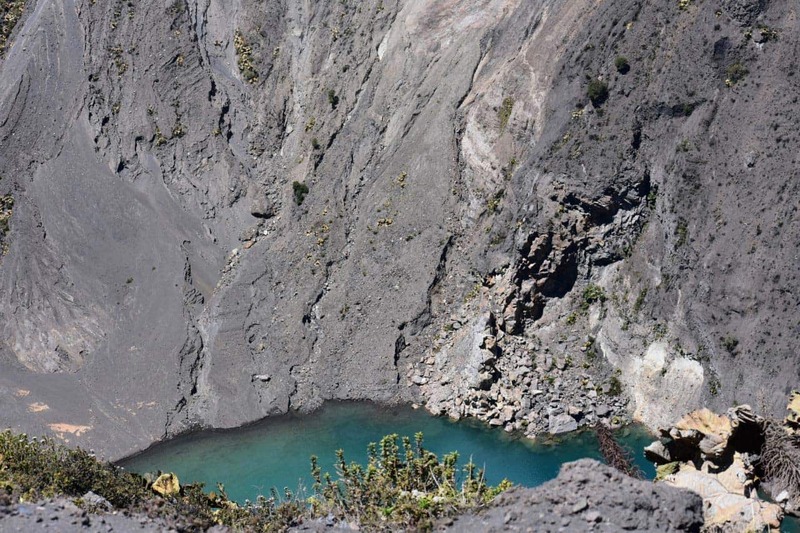 The weather changes quickly at this altitude, for the best chance of viewing the crater and turquoise lake below you will want to arrive early. Mid week is best to avoid the lines and if you have the opportunity to get there between December and May the weather is often clear and sunny. 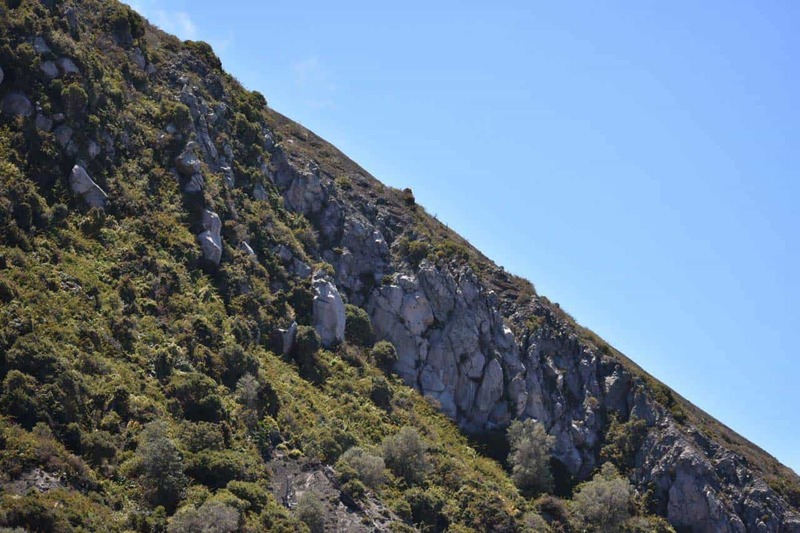 While the park itself is over 5700 acres the two main craters are the attractions. The largest of which is 900 feet (275m) deep. A mineral rich turquoise colored lake is visible at the base when steam and clouds aren’t obstructing its view. The adjacent crater, while only 300 feet deep used to also have a lake at the bottom, but often appears dry. The landscape looks more alien with vast expanses of gray sand. On clear days you can catch a glimpse of the Atlantic & Pacific oceans from the viewing decks. While this is rare, it does happen and your best chances will be in December through May. You will definitely enjoy the view, and the photo opportunities. The visit to the park really only needs to be about an hour and you will feel like you have seen what you came to see. 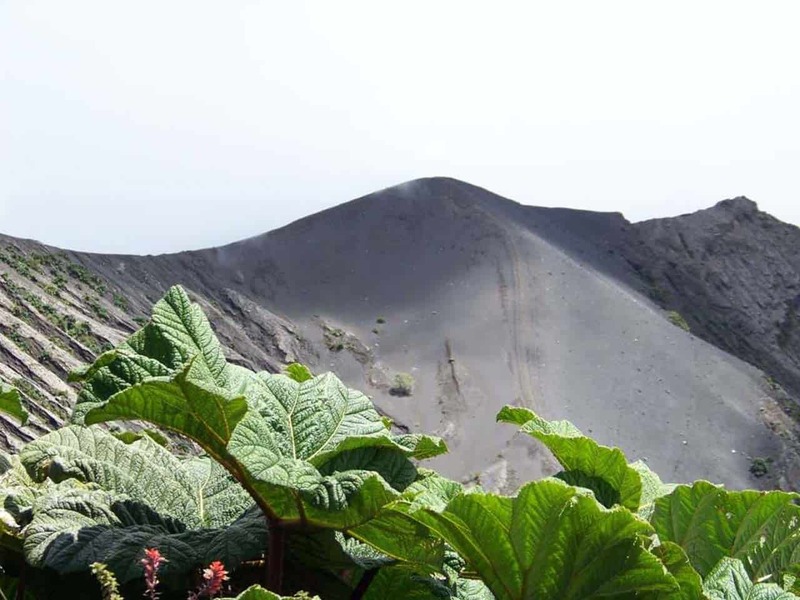 Unlike other area volcanoes there is limited hiking. The quick paved path to the viewing area is nice for those that have trouble or aren’t fans of a long walk. 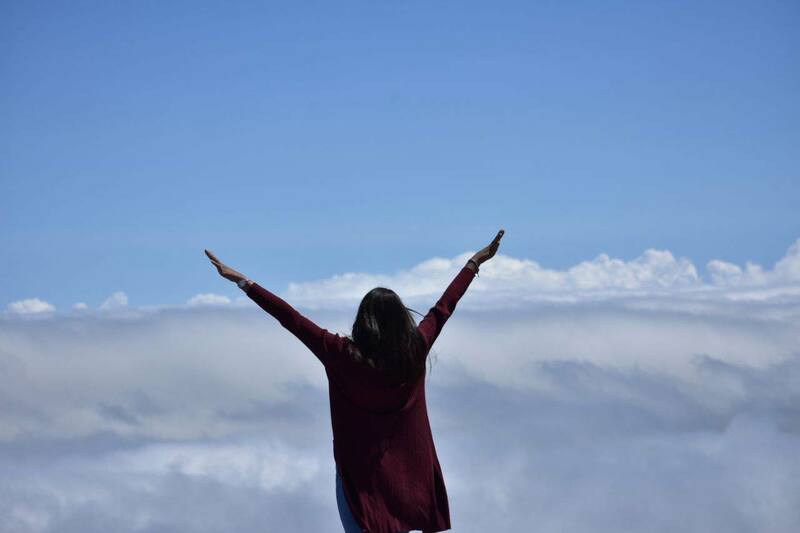 45 minutes to an hour is plenty of time to visit the tallest volcano in Costa Rica, then take your time enjoying the viewpoints, local agriculture, and other area attractions. 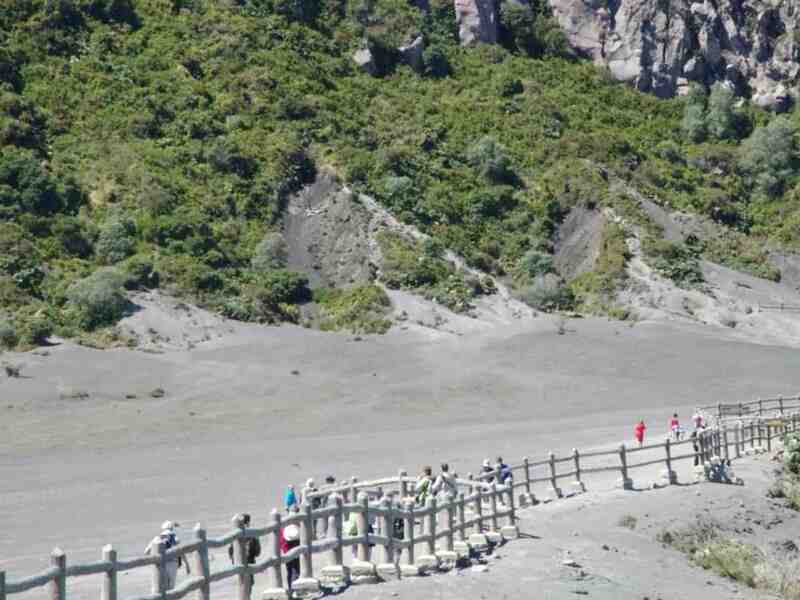 Once you have seen the crater, taken your photos there isn’t much else to do or to see. You can explore the sandy expanse but that doesn’t take long. Visitors have even taken to stacking rocks in small piles (mini towers) in an effort to leave their mark and stay entertained. The most common complaint is the bathroom facilities, while they are available, they often don’t have soap and aren’t maintained as frequently as they should be. The site was chosen for it’s sunny days, fresh air and cool temperatures which were thought to be ideal treatments for those suffering from Tuberculosis in the 1900s. The location also had the benefit of being located far away from populated areas which added protection from this contagious disease. In its hay days, the hospital had a staff of three doctors and three hundred beds, but as modern medicine moved forward and TB was no longer the threat that it once was the hospital feel into decline. The sanatorium is a lot of fun to explore. 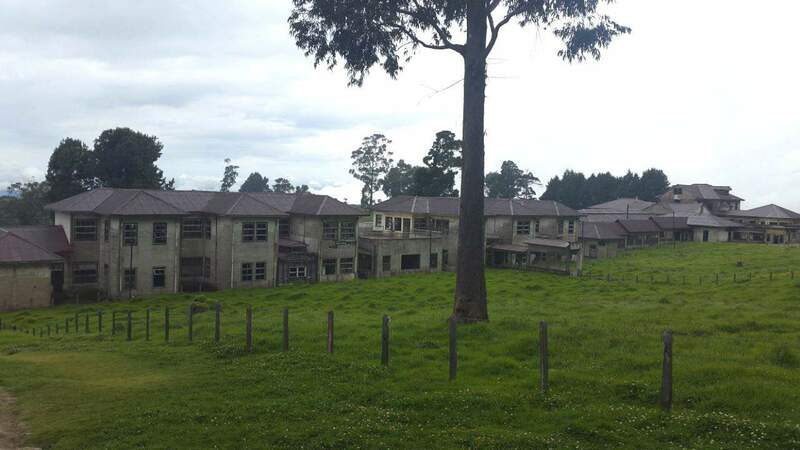 The property is now in a dilapidated state with graffiti stricken walls,but you will enjoy exploring the corridors and facilities of the campus. Knowing its history and the stories surrounding the property make it more fun for the ghost hunter, paranormal investigator or simple thrill seeker visiting the area. The internet is riddled with supposed photos of ghosts that have been seen on the property. Including what many claim is the daughter of Dr. Carlos Duran himself. She supposedly contracted tuberculosis while living at the property. Many claim to have seen a doctor in a lab coat that only appeared after reviewing the photos later or an elderly woman peering out the window. 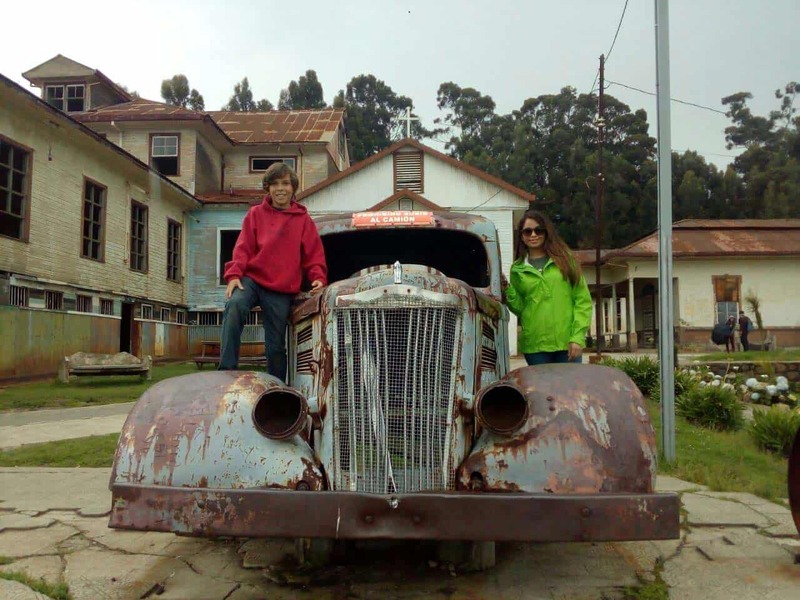 In 2010 local youth made a film entitled “El Sanatorio” directed by Miguel Gomez. The movie is reminiscent of an extremely low budget Blair Witch project. The film is in Spanish and can be a bit difficult to find but after visiting the site, it made for an enjoyable watch to see the same places we had just visited. With so much to explore we found ourselves spending quite a bit of time here. 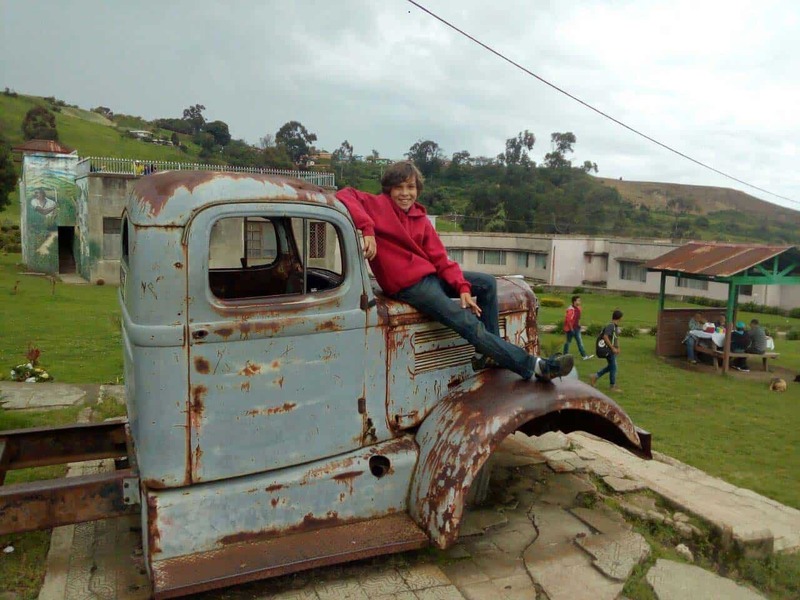 Our favorite photos included an antique ambulance that has been moved to the main entrance of the property and exploring the towers, dorms and rooftops. 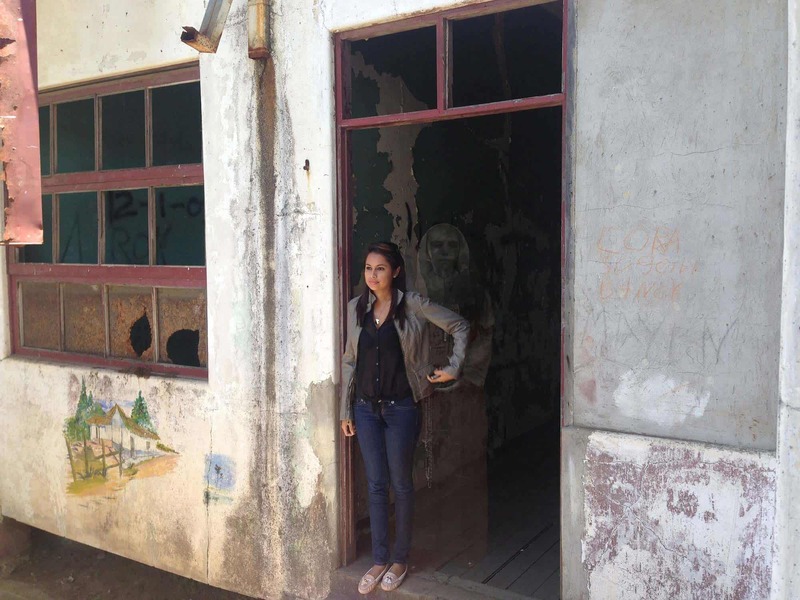 We also felt obligated to “Photoshop a ghost” into one of our photos as we weren’t lucky enough to capture one. There wasn’t much to dislike about the trip, but you may want to censor the ghost stories for the younger ones and just let them enjoy the campus. 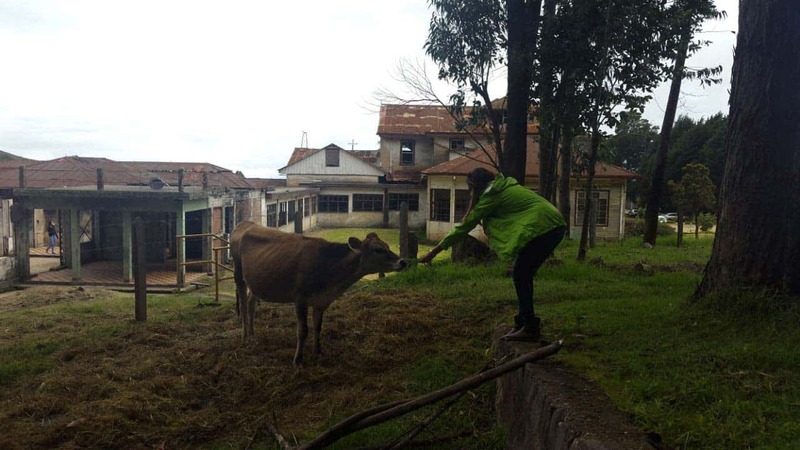 The neighboring property has some dairy cows that were exploring the grounds with us. There is plenty of green spaces to setup a picnic and enjoy the views. All and all, this beautify abandoned hospital makes a great destination worthy of being explored. 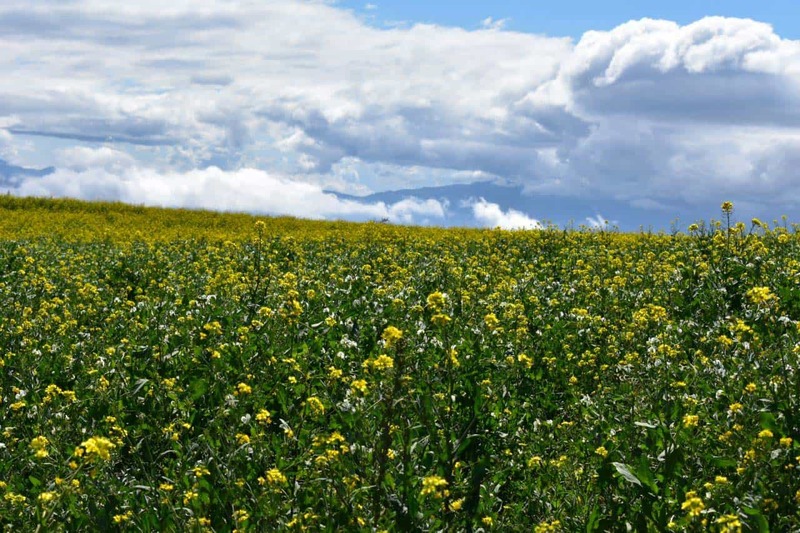 Pair the Irazu trip with something else, picnic, hiking, bird watching etc. Bring a blanket and picnic essentials. Pull out cash before you go, no ATM is close and carry smaller bills for artesian keepsakes and park entry or a snack from a local vendor.